As a Real Estate Consultant, I get to see a lot of great decorating ideas as I tour with buyers and consult with sellers from one home to the next. And every once in awhile, I’ll see something that stops me dead in my tracks and makes me think, “Fabulous idea…I need to do that!”. Such was the case when I saw this letter mural in a house located by the front door. 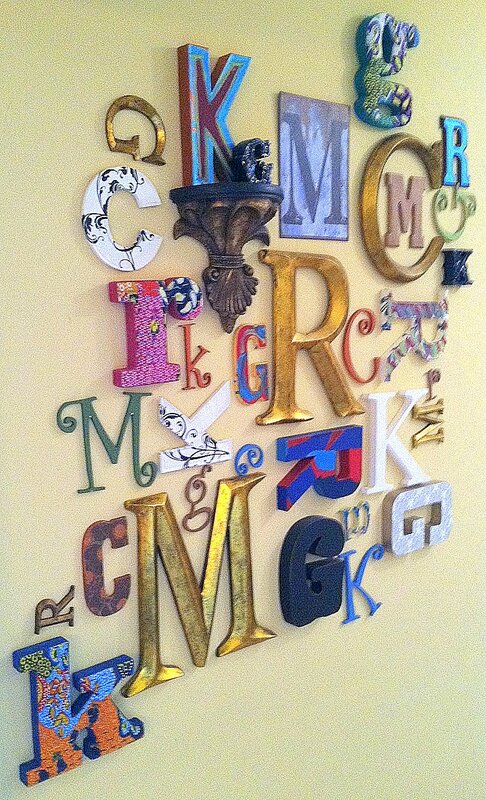 Very cleverly, the homeowners took the initials of each family member, collected them in various shapes, sizes, and textures, hung them this way and that and…Voila! I just love and simplicity and complexity of it. What do you think? ← Move in before the Holidays!! Great 3 Bedroom Kansas City Home only $85,000! !